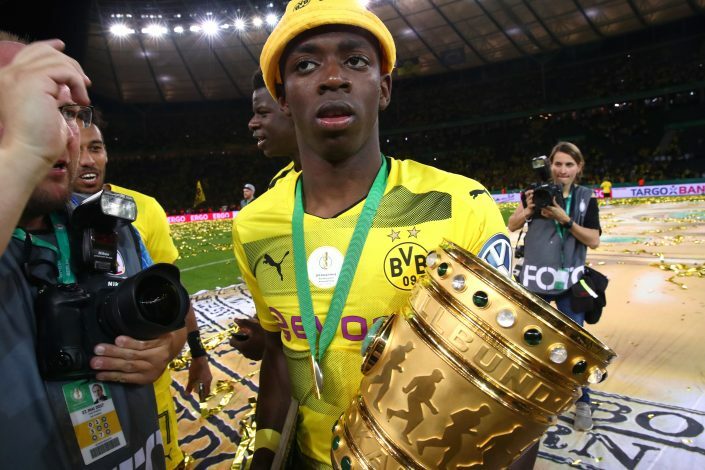 After a summer long saga that has seen headways and collapses, it now appears that Borussia Dortmund’s Ousmane Dembélé has finally joined Barcelona. French outlet L’Equipe, as well as BeIN Sports AR, have reported that the signing has been completed. The same sources state that a sum of €120 million has been agreed for the French forward, with an additional €30 million lined up in the form of performance-based add-ons. Should the deal come through, the 20-year old will become the second most expensive transfer in world football following the €222m swoop of Neymar Jr by PSG back. Incidentally, it is the world record transfer that served to trigger this deal, as the Catalan giants went into meltdown to find a suitable replacement for the Brazilian starlet. Furthermore, their infuriating failure to land Liverpool’s Philippe Coutinho also served as a catalyst for the transfer coming to a reality, since the Spanish side was earlier holding out on paying such an enormous sum for the youngster. Moreover, Dembele’s earnest desire to join the La Liga giants itself proved to be a paramount factor in the negotiations. The talented forward had begun to boycott his current club, skipping their training sessions, which had culminated in his temporary suspension. Dortmund CEO Hans-Joachim Watzke had this to say: “It is not that Ous is making fun of us, he simply declines to do his job. That is a new quality… and we should also talk about the role of glorious FC Barcelona in this matter”. Following an embarrassing thumping by arch-rivals Real Madrid in the UEFA Super Cup and a below par performance last season, Barcelona will be eager to go ahead in the matches to come all guns blazing. While the loss of Neymar proved to be an undeniable setback, if reports of this transfer are accurate, there is no doubt that the lethal La Liga giants will reinforce their stance as a force to be reckoned with both at home and in Europe.